Editor’s Note: This post is sponsored by The Grand Del Mar. Grand Del Mar, with its Tom Fazio-designed golf course and the only five star restaurant in Southern California turns three on October 7. A BEVY OF TOP golfers, a new restaurant/lounge and an indulgent addition to their spa menu kick off during the celebration. 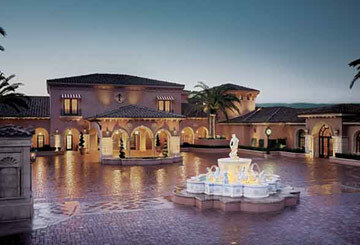 The Grand Del Mar celebrates its third anniversary. To learn from the best, pro golfer Dave Stockton (you may recognize him from the cover of this month’s issue of Golf Digest) will present two one-day clinics on putting and mastering the short game. With 46 years of experience on the PGA circuit complemented by the knowledge of sons Ron and Dave Jr., the trio is among the most elite of instructors on the PGA and LPGA tour. Having helped Tour players to seventeen wins in the past year, they will have much to share as they instruct courses running on October 29 and December 10 at a fee of $2,300 per participant (including the night’s accommodation). The Grand Del Mar also hosts the acclaimed Dave Pelz Scoring Game School this fall. Focusing strictly on a mix of short game play and putting— comprising up to 65% of shots played per round— this school intends to bring about noticeable improvements to participants’ professional game. Classes will be held October 9 and 21 at $425 per participant per day; in three-day curricula October 11-13 and 15-17 at $2,545 per person; and wrapping up with a two-day school October 19-201 at $1,750 per person. Like any good birthday, there is more to The Grand Del Mar than the game of golf this fall. September saw the premiere of a new venue, Club M, which promises SoCal fare by day, global tapas by night, and an engaging mix of eclectic entertainment. Club M features numerous guest DJs and the likes of vocalist Steve Tyrell during its fall lineup, as well as 85″ screens for the football fans every Saturday, Sunday and Monday. 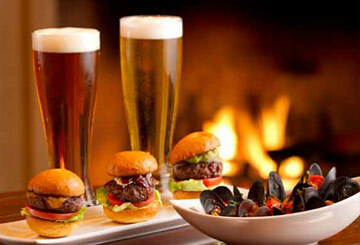 If activity on or off the course is not your thing, then relaxation is offered superbly, too. In addition to massages, facials and general pampering, you can opt for ‘Manual Lymph Drainage,’ a new treatment at The Spa. Light and rhythmic, the technique is thought to bring about enhanced relaxation and improve the overall functioning of your immune system, encouraging the delivery of fresh nutrients and oxygen to cells. It’s a great way to spend time on you. Finally, it’s a birthday party open to all this fall. All the best rates of the season are available, as are a range of specials including the Fall Special which features a $50 resort credit towards spa treatments, excellent dining and golf. Rates for the season begin at just $365 a night. For more information or to make reservations, please visit The Grand Del Mar website.